It's that time of year again, the holidays are coming up and it's time to start taking into account the to-do lists. If you're like most people, the holidays include Thanksgiving, and head right into Christmas. With all the planning that will go into preparing for the holiday season, it's not a bad idea to get started now. One of the family favorites that you will feel better having crossed off your to-do list is knowing where to get your family Christmas Tree. There are many options of where to go, the one to keep in mind is Coates Christmas Trees, U-Cut Christmas Trees serving Algona WA. Finding a nearby farm like Coates Christmas Trees, may feel like locating that little piece home that you either had forgotten about or always wish you had. 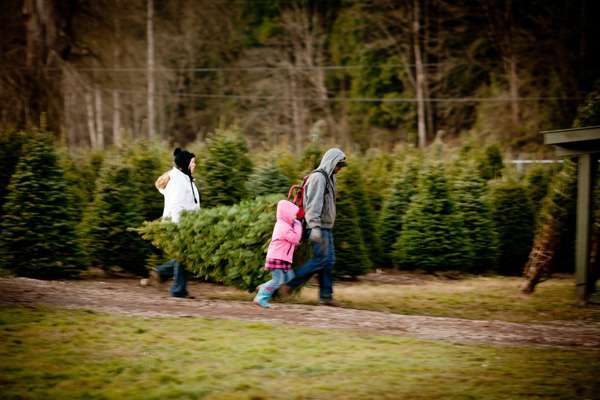 Christmas tree farms are a great place to start family traditions and build long-term family memories. In the hustle and bustle of everyday life there is something phenomenal about going outside and trying to find that perfect tree. Not the Charlie Brown Christmas Tree, but you know the one, the one where you look at it and it's almost like there is a spot light shinning down on it saying "take me." This is the one where your Christmas memories will be made around. .
Coates Christmas Trees will give you the opportunity to take a day and spend it with the family making memories. Whether it's your first trip to a U-Cut Christmas tree farm or you're a practiced expert, every trip will create new and long-term memories. However, there are a few tips to bear in mind that will help with making happy memories. First, be prepared. This means dressing for the weather, for the messy job at hand, and being prepared for the transport home. Additionally, you may should think about the long day it will entail, and also the physical exertion. While it may seem like a lot, it really isn't when compared to the memories in the making. When it's all said and done, being prepared for your annual tradition will bring you years of memories.